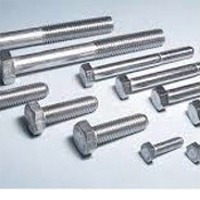 Astm A193 Fasteners by Hindustan Pipes & Fittings. Supplier from India. Product Id 911195. 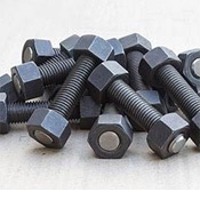 We are leading manufacturer of fasteners washers, allen bolt, hex bolt, foundation bolt etc in stainless steel grades, nickel alloys grades, high tensile, alloy steel, mild steel etc. Duplex & Super Duplex Steel Fasteners We are offering precisely designed Duplex Steel & Super Duplex Fasteners, that are widely used for various industry purposes. Our range of Fasteners finds wide application in several construction and engineering industries and are offered at industries leading price. 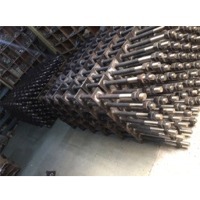 Moreover these are manufactured from quality material, procured from reliable vendors and are available in various specifications, as required by the clients. we offered wide range of foundation bolts that are available in plethora of options & has high tensile strength which makes it quite sturdy. These are the types of metal in which foundation bolts we manufactured such as stainless steel, mild steel, carbon steel, alloy steel etc. Search More Like "Astm A193 Fasteners"